Click HERE to see if the date you would like to rent is available! 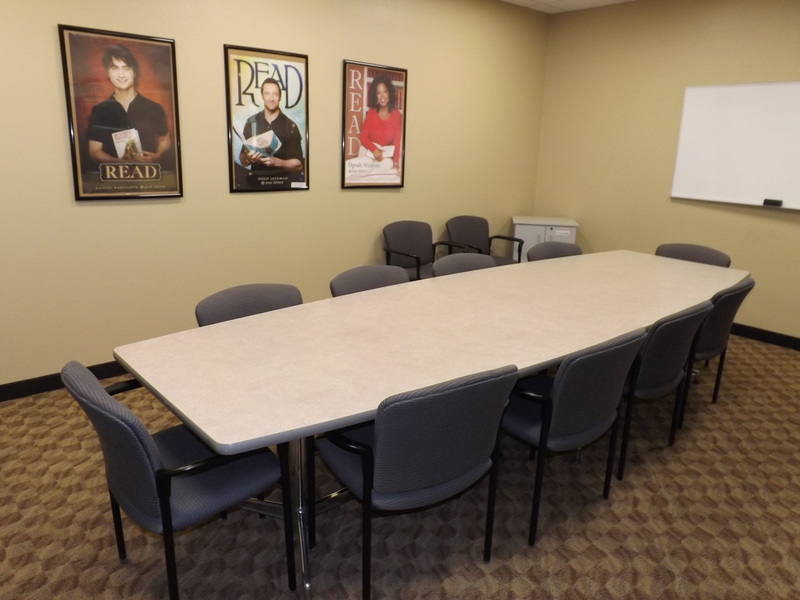 To reserve the Community Room or Conference Room, please call or stop into the Barlow Library. A signed application (downloadable here) and deposit are required to reserve the room. The deposit due for the Community Room is $25.00 and $10.00 for the Conference Room and must be paid within two weeks of the request. If not received within two weeks, the date is open again for reservation. Click ﻿HERE ﻿for the Room Policy and Guidelines. If the date requested is less than two weeks out, the signed application and deposit must be received within 48 hours of the request to confirm the reservation. If you wish to cancel your reservation, you must call within 24 hours of your reserved date or your deposit will be held as a donation. Upon arrival, you must check in with the circulation desk. Rental fee must be paid at that time before usage of room. Upon departure, report any spills or maintenance issues to the circulation desk. Bring garbage to the desk for disposal. You may pick up your deposit check at this time, after the staff has checked the area. If your deposit funds/check is not picked up within 2 weeks or arrangements have not been made regarding the deposit, the $25 deposit will be considered a donation to Robert W. Barlow Memorial Library. Available for usage in either room: 50" Flat Screen WiFi TV with DVD player, HDMI cords and a Chromecast device. Equipment cannot be checked out for use outside of the library. To use the equipment, a driver's license of party renting the room must be left at the front desk. 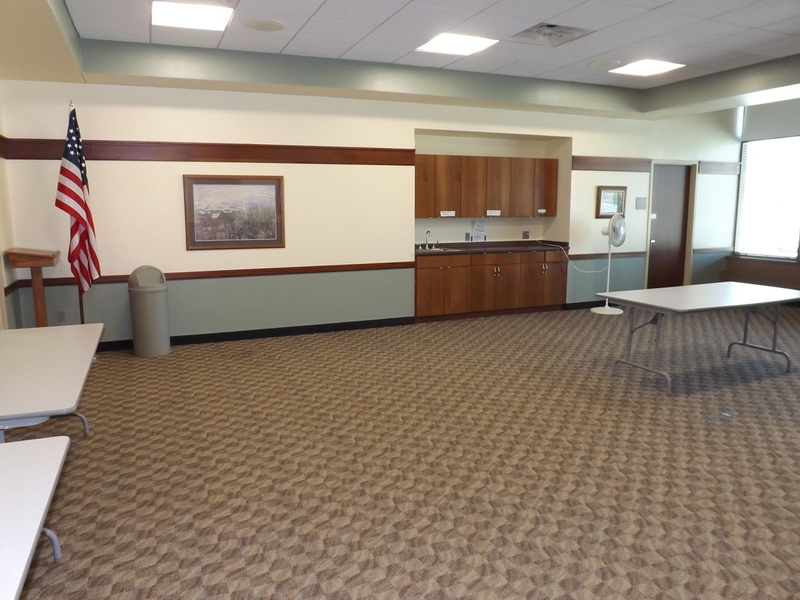 Great for parties, bridal and baby showers and more, the Community Room is a large area with tables and chairs available. We have 7 tables available (seat 8-10) and 88 chairs. Can hold up to 150 people. The Conference Room is the perfect place to hold meetings and features comfortable seating and multimedia capabilities. Seats 10-12 people. The Barlow Library also has two small study rooms (suitable for two to three people) and a teen room that are available on a first come, first serve basis free of charge. The Teen Room is open for general use only during in-school hours when school is in session. The Teen Room is reserved for teens only during after-school hours, on weekends, and during school breaks. The study rooms and Teen Room may not be reserved for usage.